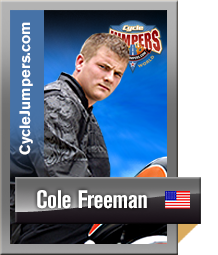 Cole Freeman hails from St. Charles, Missouri and is a stunt rider for Ill Conduct. 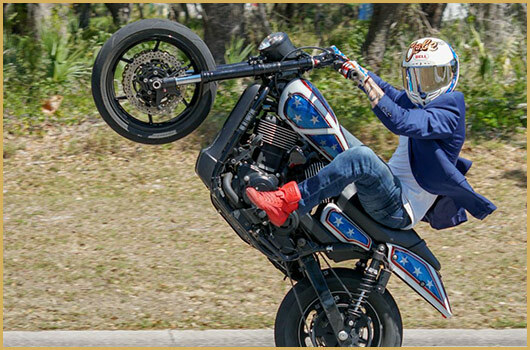 He was born Sept 7, 1985 and began riding motorcycles when he was 18. 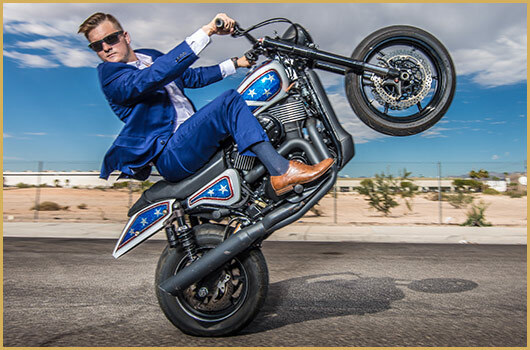 In 2008 he took up trick riding and hasn't looked back. 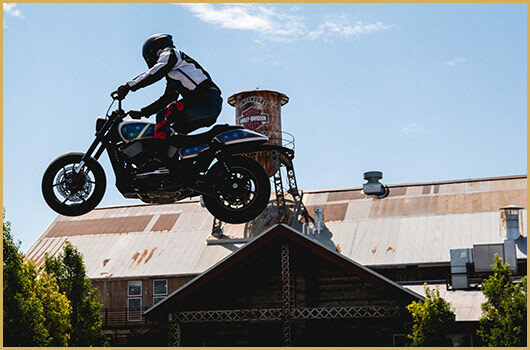 He added something new to his stunt routine, jumping a 853lb. Harley-Davidson Touring Road Glide! 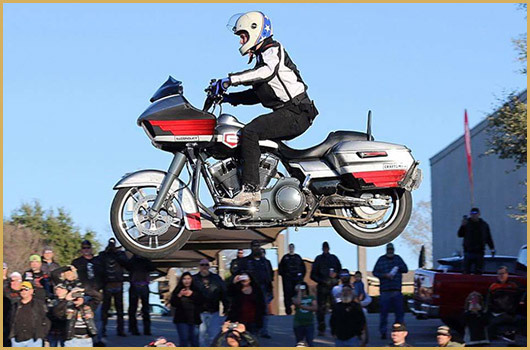 (I've seen XR 750 and Sportsters fly, but I've never seen a Road Glide leap into the air before!) 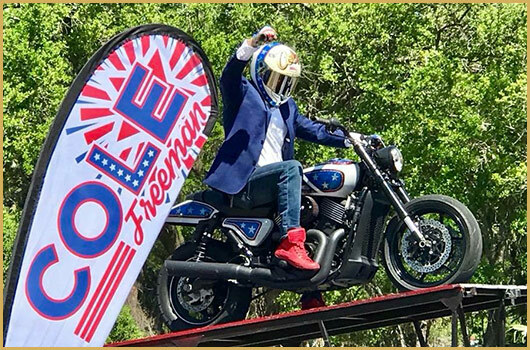 The second photo below is a shot of the first time he jumped it ramp-to-ramp. 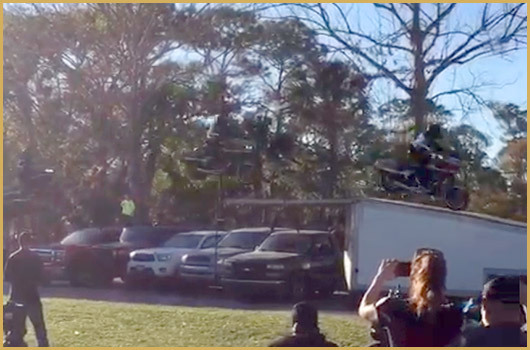 Then on March 17, 2017 he successfully jumped his Road Glide over 5 trucks! He says he has a lot more jumps planned ahead! 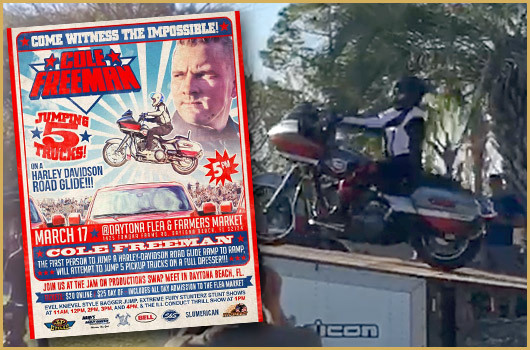 Above: A poster advertising his record jump. Below: Cole successfully jumping his Road Glide for the very first time. 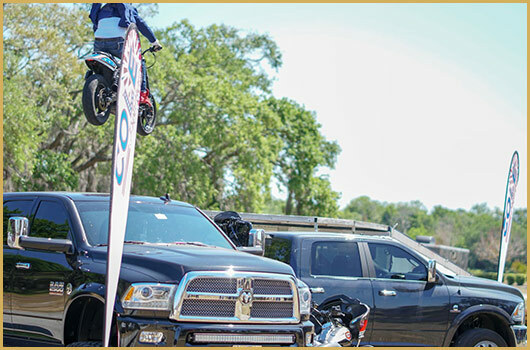 Below: A time-lapsed shot of him jumping over 5 pickup trucks. Thanks to Cole Freeman for the use of the photos!